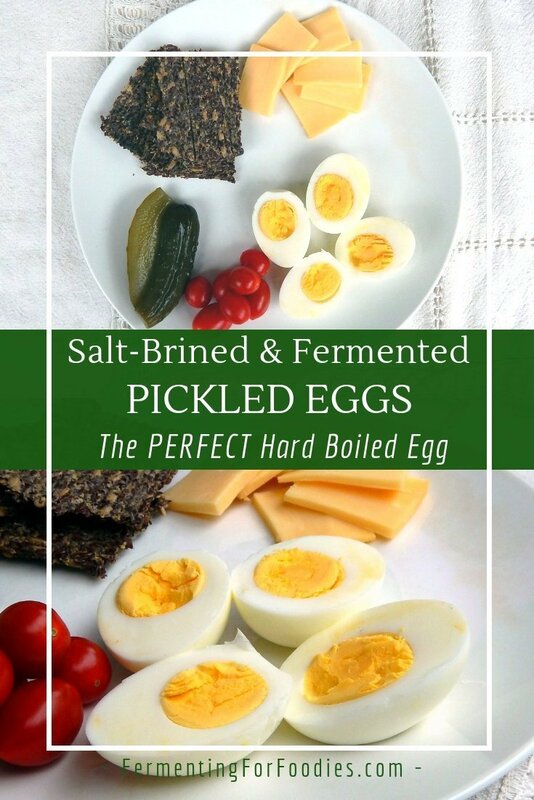 Salt-brined fermented eggs are absolutely delicious. Fermented eggs are SO much tastier than your typical hard boiled egg that I can’t imagine going back to non-fermented eggs. Nicely salted and firm, they are perfect for snacking, egg salad, deviled eggs. Not only that, pickled eggs are so EASY to make. 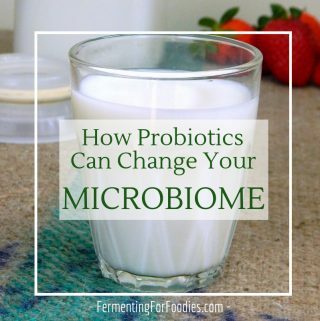 Much easier than sauerkraut, yogurt and a host of other probiotic foods. Why not try fermenting some eggs today?! Sterilize a 1 quart jar by filling it with boiling water and letting it sit for 5 minutes before pouring out. Fill the jar with eggs (and any other flavourings, see below for some ideas). Dissolve the salt in ½ cup of water and pour over eggs with the starter. Add more filtered water so that the eggs are covered. 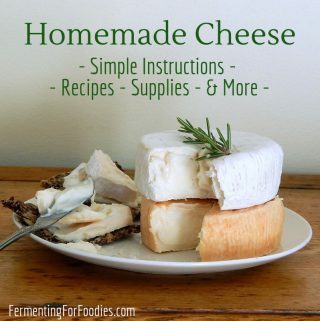 Allow to ferment for 1-3 days somewhere cool. I always encourage newbie fermenters to read the Fermentation Basics to avoid making a mistake (no one likes a rotten egg). 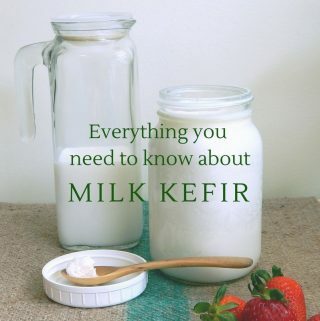 I used milk kefir whey as my starter, but you could also use cultured cider vinegar, kombucha or a purchased starter to ensure a quick ferment. Each of the starters will add a different flavour to the eggs. Thank you to Oh Lardy for their post on fermented eggs, which inspired me to try something new! 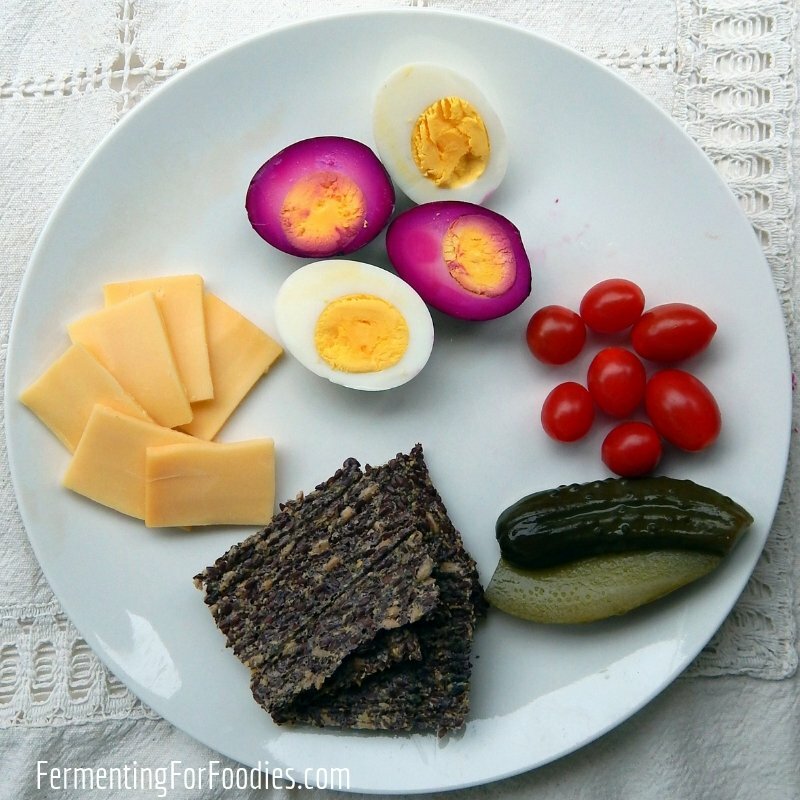 Fermented eggs are infused with whatever flavours you include in your brine. So I recommend playing around with all sorts of different flavour. Dill, garlic, onions, hot peppers, peppercorns are all delicious options! However, I really enjoy making coloured pickled eggs. The purple eggs (below) were fermented in a jar of pickled beets. Adding turmeric, or fermenting in turmeric bug will give the eggs a pale yellow hue. For a pale pink egg, ferment in beet kvass. What are the bacteria feeding on to make the lactic acid needed to preserve and flavor the eggs? I think there is not a lot of carbs in an egg . The starter has all ready been fermented once . The eggs in your picture are overcooked. For medium eggs add to boiling water and boil for 5 minutes. Remove, cover, and let sit for 3 minutes. For hard boiled let them sit covered for 5 minutes. Immediately chill in ice water and peel. Thanks for your comment. I think exactly how long you need to cook an egg depends on the size of the egg. Really large eggs could take up to 16 minutes! In this recipe it’s better to over cook than under cook your egg, so my eggs are a tad over cooked. On the subject of cooking a hard boiled egg. Their may be more than one way, just to be kind. Place eggs in a pot you can cover. Use a vegetable steaming basket to keep eggs just above the water. About an inch of brought to steaming. Then set a timer fir 16-18 minutes. Place the steamed eggs under cold running water to completely cool. Peel. I’ve never tried that. Enjoy your fermented eggs. Yum! Thanks for the instructions! Once they’re fermented, should the eggs be stored in the fridge in the brine, or will that cause the pickling process to continue? I would keep them in the brine in the fridge. The fermenting will slow significantly, and it’s less risky then moving them to a potentially unclean container. They’re so delicious, I’m sure you’ll eat them within a week! I am right this minute on my third batch of of fermented eggs. I do mine in half gallon jars. Not only use for just eating as is, but great to have on hand to make eggs salad, potato salad, deviled eggs etc. I think fermenting is a great way of going back to the time of the way food was preserved by our great grandparents. Also making our own vinegars, fruit starters. Wish I had been into this stuff when my family was young. Can I use ginger bug as a starter? I haven’t tried that… but it should work. It would add that ginger bug flavour… so I’m not sure about how that will taste (ginger eggs?) Turmeric bug would be good though. 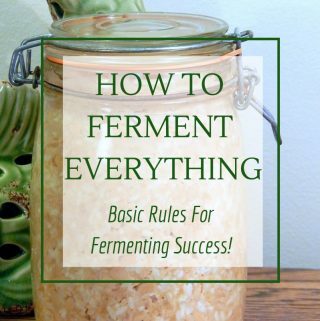 Can you use the brine from another batch of fermented eggs as your starter for a new batch of fermented eggs? As long as the eggs fermented well… yes!